Cesar’s success is drawn from his passion to help others. When asked to describe his job at Heiser, he summed it up as “Awesome and Fun!” He likes interacting with people and “providing wheels to the great people of West Bend”. That uplifting attitude is evident in every customer interaction that he has. His clients feel at ease, just knowing he cares about their needs. Cesar’s native home is the Dominican Republic. While raised in the small town of Salcedo, he was inspired after an encounter with a Peace Corp. volunteer. She convinced him to move to West Bend, Wisconsin in 1994! Now settled for almost 20 years as a US citizen, he talks about how inspiring the welcoming interactions in the community still are for him. He absolutely loves West Bend! Cesar feels he owes his smooth transition most to his late friend, David Biskobing. David became his mentor after his move, taking him under his wing. For that kindness, Cesar is most grateful. 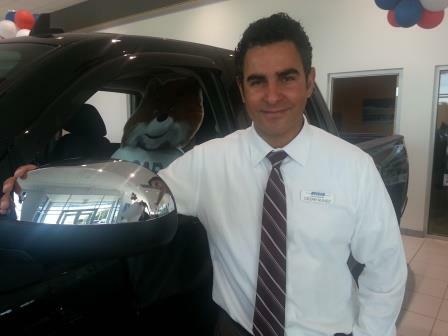 When not in the showroom, Cesar enjoys playing tennis, volleyball, and his guitar. In fact, he has five guitars which he employees while singing and playing for others. You might say it’s another way he has found to give back to the community. Thank you, Cesar! · The best highway mileage of ANY gas engine in America (42 mpg) with its Cruze Eco. · The best highway mileage of any non-hybrid (46 mpg) with its Cruze Clean Turbo Diesel. · 10 standard air bags and a 5-star overall safety rating from the National highway Traffic Safety Administration. To help continue the momentum, Heiser Chevrolet Cadillac recently introduced a very attractive lease program on the Cruze. Consumers will appreciate the well-equipped models they can easily step into this month. Two option packages are also available at a discount on Cruze: The All-Star Package and the Sun/Sound/Sport Package. These allow for additional savings while providing the most popular equipment. government or insurance industry safety tests. The 4th of July list focused on models made in the United States: the Cruze LS is built in Lordstown, Ohio, while the Travers is built in Delta Township (Lansing), Michigan. Silverado Crew Cab is built in Ft. Wayne, Indiana as well as Flint, Michigan. 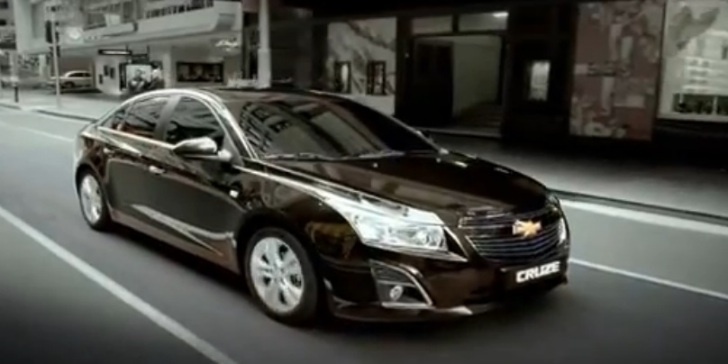 In the small sedan category, the Cruze LS was chosen because of its controlled ride and easy handling. The Traverse was featured in the SUV category for its improvements to the transmission, ride, smooth-and-refined 3.6-liter V-6 and easy handling. In the full-size pickup category, the Silverado Crew Cab prevailed because of its ride quality, interior spaciousness and fit and finish. Chevrolet has been busier on the soccer field than just about any auto brand lately. In addition to having a multi-year deal with super-team Manchester United that will ultimately result in the Chevy bowtie being emblazoned on team jerseys, the GM division also recently signed a deal with reigning MLS Cup champs, AEG’s Los Angeles Galaxy. 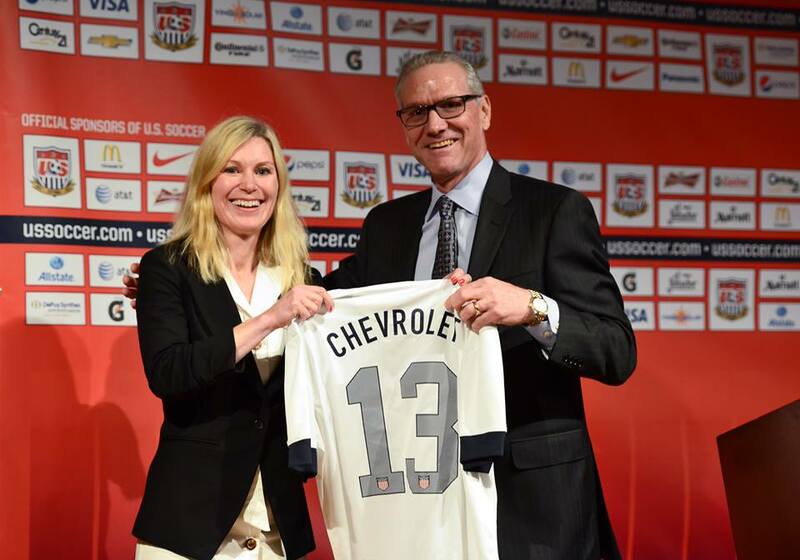 The company has also signed up with the United Sates Soccer Federation for a 3-year sponsorship deal that makes Chevrolet the Official Partner of U.S. Soccer. The organization is the governing body for a lot of soccer programs in the U.S., and manages such global teams as the U.S. National Men’s and Women’s Teams, youth National Teams, Mena’s and Women’s Olympic teams and the Development Academy. Chevy, which sponsors the One World Futbol Project, also has its name on another global cause initiative, Chevy Youth Soccer—which involves close to 1,000 dealers and 850,000 youth throughout the U.S. The One World Futbol project distributes nearly indestructible football to around 1 ½ million youth in war zones, refugee camps, disaster areas, and underprivileged communities. Soccer probably will supersede MLB and MFL if the benchmark ESPN Sports Poll is accurate. The poll last year said soccer is America’s second-most-popular sport after the NFL for those ages 12-24. It is also the favorite sport of the fastest-growing demographic in the U.S.—Hispanics.